From tiny tots to big boys, we’ve got you covered. Whether your son (or nephew, or grandson, or godson) puts the little in little man, or whether he’s already playing Fortnite and confusing you with lingo that just seems like gibberish to you, we’ve got the perfect gifts for boys. Go forth, get shopping, rest easy. 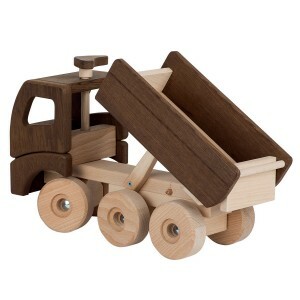 Chunky, sturdy and lots of fun are three things you want in a toy truck! Featuring solid wheels, moving parts and a trailer that swivels and lifts, providing with your little guy with hours and hours of fun! The best gifts are those that can be used over and over again, using the greatest tool of all: your child’s imagination. This work bench and tools fits the bill – and then some. Watch as your budding builder uses his creativity to imagine worlds. 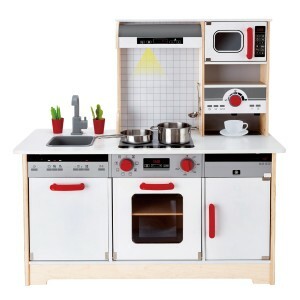 Perfect for little chefs-in-the-making, this kitchen allows your tot to create worlds and expand his imagination. And if it inspires real cooking later on – all the better! If you have a soccer fan at home, this foosball table is a must-have. 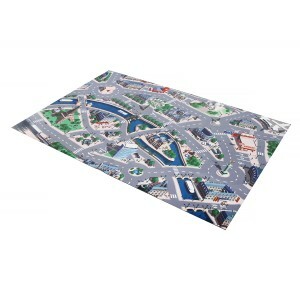 Perfect for family games night, it encourages healthy competition. 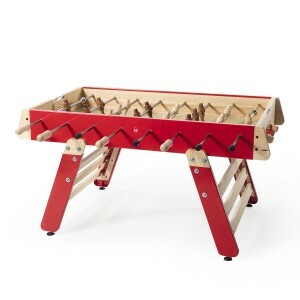 The RS Barcelona RS#4 Fun Foosball Table is the first football table that grows. Its legs have three different height settings in order to adapt to the players’ stature. So it doesn’t matter whether you’re 6 years old or 96 years young; anyone can enjoy it. 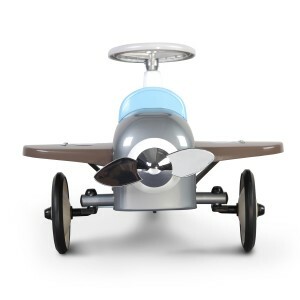 Apartment dwellers will love this twist on the classic ride-on toy car: modelled like a vintage plane and using rubber tires, tots will “fly” around quietly in even the smallest of small spaces. Great for getting extra energy out before dinner! 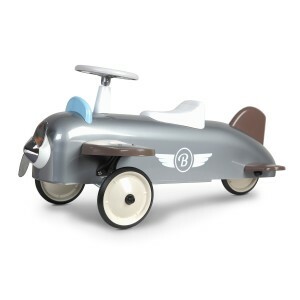 Inspire your little boy’s love of all things motorized with this (machine-washable!) car play mat. Just add toy cars. 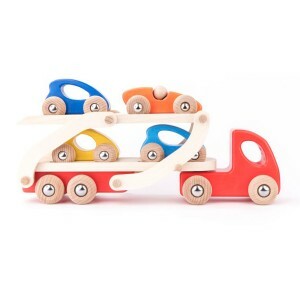 Speaking of which… we love these gorgeous wooden cars. They look great on a shelf in your little one’s bedroom, but of course they’re also fabulous for playing with – from babies to big boys. Lightweight enough that you can stash a few in your handbag, they make great traveling companions, too. 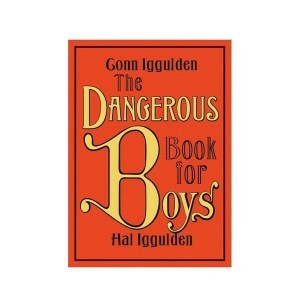 For the boy who seeks adventure at every turn, this best-selling book – packed with tips on fishing, camping and more – is essential. 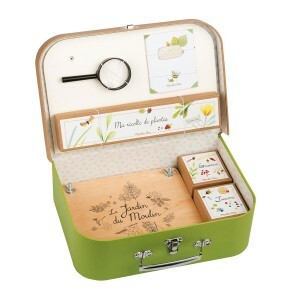 For the budding botanist in your life, this sweet suitcase contains everything your small nature-lover needs for exploring the great outdoors. 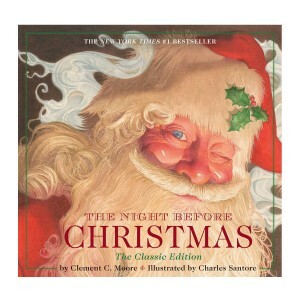 ’Twas the night before Christmas, and all through the house… Entertain the next generation with this classic children’s book, celebrating the magic and joy of the festive season. Counting down… 5, 4, 3, 2, 1 – blast off! 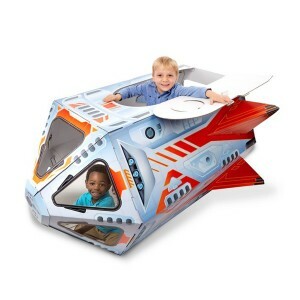 Set your little boy’s imagination alight with this innovative, charming rocket playhouse. Perfect for adventurers who dream of starry skies and new moons, this will be played with over and over and over again. 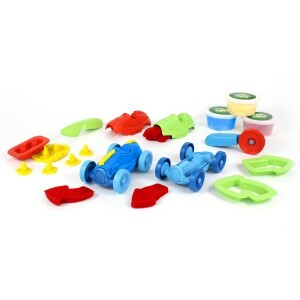 If your little one loves to play with his cars, he’ll adore this organic play dough set, perfect for making endless custom race cars. It’s also totally safe and made of organic flour. Your kid will love making this cool comic super hero cape his own. 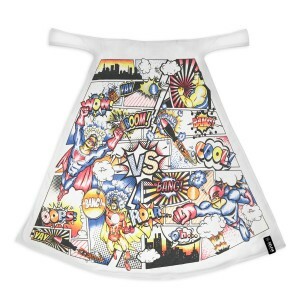 The Cape is outlined with a mix of retro superhero and comic strip icons and comes with seven permanent fabric pens allowing kids to get crafty and creative! This 5 piece Doctor set will delight your child as he pretends to be a doctor tending to patients! 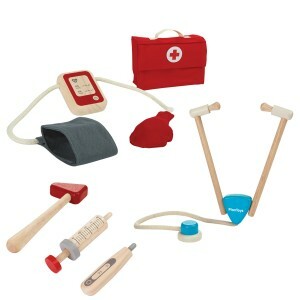 This set includes 5 pieces of basic medical equipment made from recycled organic rubber wood and a handy doctor case. Now this is a fun project. 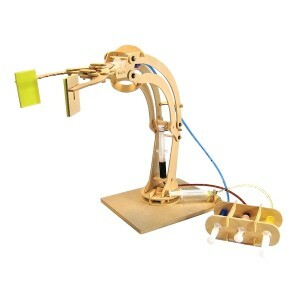 Kids can build a robotic arm in under an hour! 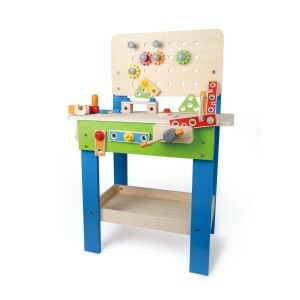 Featuring pre-cut wood pieces and hydraulics, kids will be enthralled as their creation comes to life before their eyes! This beautiful acoustic guitar is innovative and educational! 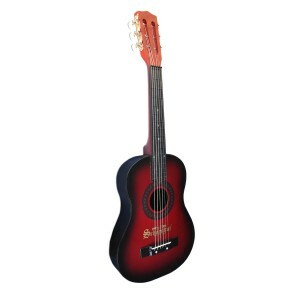 Perfect for little hands, the fret board ensures proper height and fret-spacing. With six steel strings, this instrument is modeled after an adult acoustic guitar. Aspiring musicians will love performing for fans and starting their journey to super stardom! 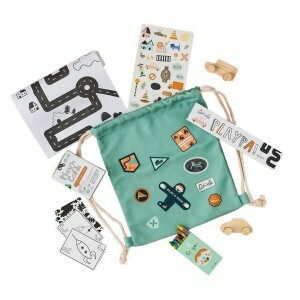 A bag full of travel fun for little adventurers, the Play’n Pack is a backpack filled with imaginative play for kids. Whether you are on the road, boat, plane or at your favorite cafe, the Play’n Pack will bring hours and hours of creative fun for your little one.